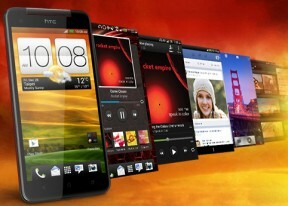 Guys how to make 4G of my Htc butterfly can anyone suggest what to do? htc butterfly x920e is it have micro sd card slot and 4g network? Do this unit has a purple tint issue on canera in low light?? Please reply.. This is my name, 28 Feb 2013I'm still not sure which phone 2 buy. This phone looks a bit advanced for me and it looks very... moreAlthough it looks bigger but it wont be big while holding. Why did it get 45hours in battery test when DNA got 49 and they are the same phone? And also, the web browser in HTC Butterfly does have flash support, you need to enable it in the setting within the app. Regarding waterproof, Butterfly is certified IPx5 anti-splash. The Antutu score is really dodgy... I've tested my Butterfly 920d three times with default setting, and the mean score was 21043, which is what should be expected from a S4 Pro CPU! Have had this phone for a week via import and have to say it is amazing. Build quality is excellent and its very thin as well. Software is smooth as silk and call quality is very good. I'm not a heavy user but phone comes off at 5:30am and with email syncing , browsing , half hours worth of calls, 2 hours of music on commute, I still have 70% of my battery left at 11pm. The battery saver mode really works. Was regretting my purchase once the HTC one was released but having had it now do not regret it at all. Its a fantastic phone. HTC's build quality is consistently high. The Butterfly should sell very well in Europe. when this amazing phone will be available in KSA? 3 months and still not available !! Gsm how often do you use the power button?